Leaders in Direct Response Fulfillment! We consolidate your orders from the web and call centers, process payments, manage continuity and help you track the success of your campaign. Robust reporting included! Same-Day Shipping coupled with our strategic location equals fast delivery at low cost. Impress your customers and turn speed into an advantage! Our US-based, in-house professionals take pride in representing your brand in the best light. We resolve issues with lightning speed to prevent returns, cancellations and chargebacks. To round-out the outsourced solution, a2b provides a wide array of Value-Adding Services that truly makes us a one-stop-shop for all of your logistics needs. Leverage our experienced labor, expansive warehouse space and advanced technology, when you need it. We build everything from high-end presentation packages to complex parts assortments. All builds are carefully managed using a Work Order process with system-controlled bill-of-materials and quality checkpoints. We process tens of thousands of returns each week and know how to turn what is generally thought of as a negative into a positive. Our specialized team of Product Refurbishment professionals can also renew and repackage returned product to maximize value. We are no stranger to this hybrid of consumer-direct fulfillment with the complexity of retailer compliance. Our technology does the heavy lifting by integrating with big box retailers, home shopping channels and online marketplaces to make this process seamless. 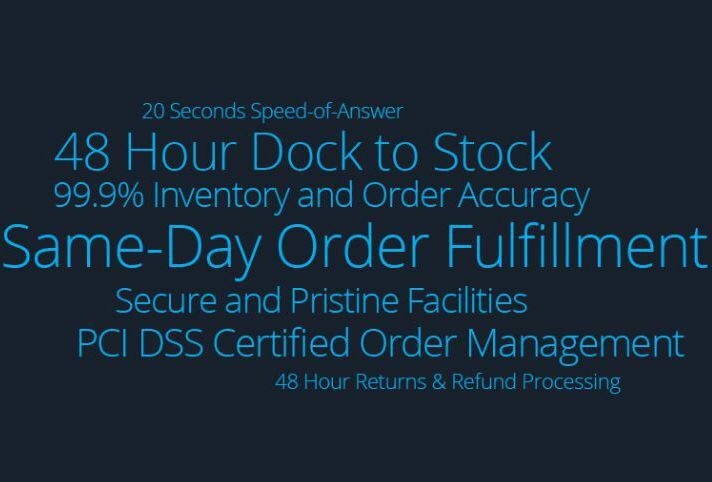 A specialized Retail Division manages this complex process, including EDI integration, routing guide compliance, labeling and transportation management. Don’t trust your Direct Response campaign to just any fulfillment center. Choose the Leader in Direct Response. Download our 20-Page Guide to Choosing the Right Fulfillment Partner.